Looking for a prime location for your business plus an investment opportunity? This historical 2-story building located on the square in downtown Monticello offers a great office space on the 1st floor that has been recently renovated including flooring, plumbing, and HVAC. The 2nd floor features a two bedroom, one bath apartment recently remodeled with nice hardwood floors, built-in oak dining piece, French doors and updated kitchen and bath. Full basement for storage use. 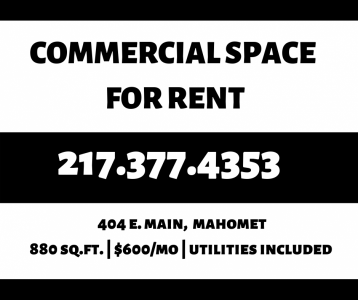 The first-floor commercial space is now vacant and ready for you to make it your own. The 2nd-floor apartment is occupied with tenants rights.